Daddy’s helpers . . .
We are getting ready to paint Lily’s room. Think PINK! 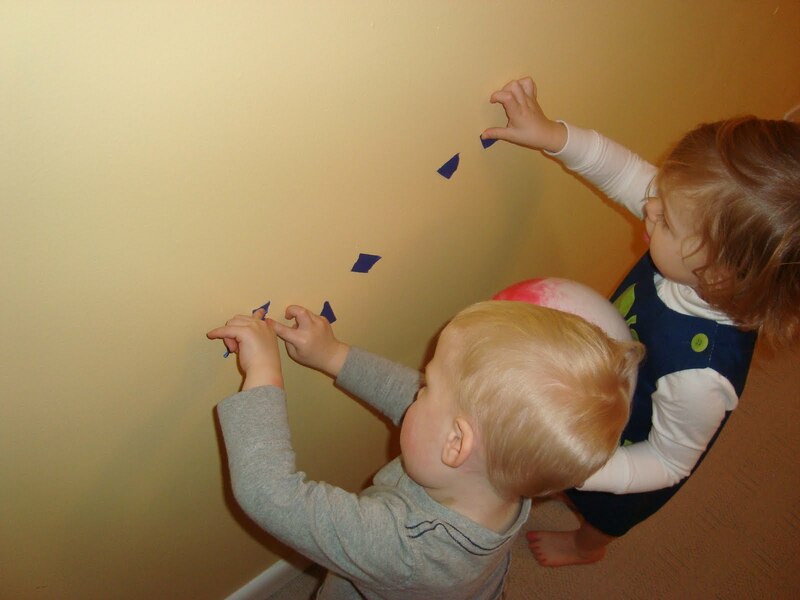 Luke and Lily were “helping” Dad tape it off today!